When Anna Maria Chavez was a 10-year-old growing up in Eagle, Arizona, her friend came to her one day and told her that her mother was starting a Girl Scout troop and that she wanted Anna Maria to join. It was a small group of a dozen or so girls, but Chavez recalls, “It was the first opportunity I had to travel with a group of girls without my family. 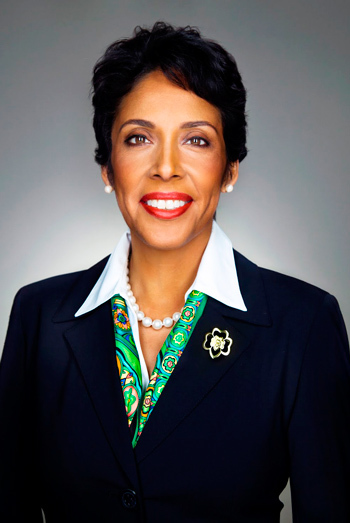 It created a spark in me to explore.” Since taking the reins as CEO of Girl Scouts last June, the 43-year-old attorney from Texas has been trying to put a new spark into her organization, which officially celebrates its centenary this year. In an effort to be where “young girls are,” Girl Scouts has been piloting “virtual troops.” Virtual troops are organized by program level, and have monthly meetings using the Adobe Connect Pro web-conferencing service. Weekly activities, analogous to the activities of an offline troop, are posted online, and the girls can complete them at their leisure. A virtual troop can be made up of girls from all over the world. At the end of a membership year, members of an online troop advance to the next girl scouting level. While the online troops are still new and by Chavez’s own admission still developing, the initiative represents a willingness for Girl Scouts to enter new territory. For many girls, and for many reasons, meeting in person may not always be physically possible or convenient. One of Chavez’s current priorities is to add a Chief Information Officer of Girl Scouts, a first for the organization. A search is currently in process. 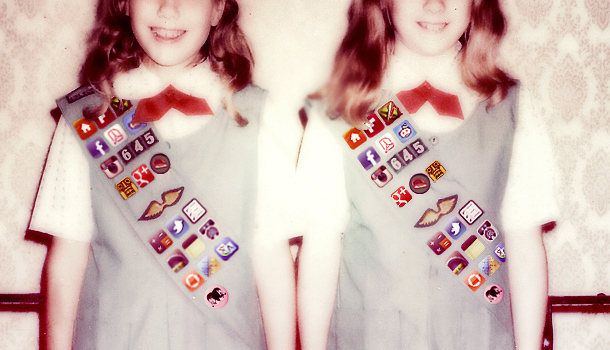 Last fall, the Girl Scouts overhauled their entire badge system, which included the addition of several badges with an explicit focus on technology. Some of the new tech-oriented badges include one for geocaching, another for digital movie making, another badge called “netiquette” aims to help girls understand online safety and cyber-bulling, while the “locavore” badge responds to the local foodie movement. These new forays into the digital world are not simply designed to increase the Girls Scouts’ membership rolls. They are also a new way of focusing on one of the cornerstones of Girl Scouts: giving girls the tools and skills that they need to become leaders among their peers, in their communities, and in all the professional and business fields in our culture. Everyone knows Girl Scouts from the group’s cookie sales, a tradition which began in 1917. Often overshadowed by the tastiness of a thin mint is the fact that the program, which totaled $700 million in sales last year, is actually designed to train young girls to be entrepreneurs, managers, and leaders, and to inculcate a basic sense of financial literacy. In the last year, there has also been an effort by a number of troops to add technological innovation. For example, Girl Scouts in Ohio have been selling cookies using mobile payments technology that allows them to swipe credit cards during their door-to-door sales process. But one Girl Scout troop in Iowa known as the Flying Monkeys may be setting a new pace: Inspired by a story of a little girl born without fingers on her right hand, the Scouts developed and built a robotic hand for her, all on their own. The troop has since filed for a patent for their robotic hand. “This is the kind of thing our girls can do and are doing,” Chavez says proudly. This year the Girl Scouts kicked off their hundredth anniversary year with a new campaign called “To Get Her There.” The focus of the campaign is to look for ways Girl Scouts can help remove the obstacles to female leadership across every level in our society. The campaign rolled out a series of PSAs highlighting key facts–such as only 3.2 % of the CEOs of publicly traded companies are women. Some may scoff at the idea that female leadership or a greater role for women in technology can be fostered by a century-old organization like the Girl Scouts. But Chavez is bound and determined to contemporize the Girl Scout experience, and to make that experience a source for inspiration for the future adult lives of Girl Scout alumni. But she isn’t about to subsume scouting into a virtual world. “This will always be a face-to-face organization,” she says. “But we can’t get her there without being here.” By “here,” she means online. David D. Burstein is a young entrepreneur, having completed his first documentary 18 in ’08. He is also the founder & executive director of the youth voter engagement not for profit Generation18. His book about the millennial generation will be published by Beacon Press in early 2013.